Get a comprehensive introduction to the vertical world. Instructors will explain the Climb Central safety systems & get you started with some basic climbing techniques. We need a group of min. 8 for this class. Participants are encouraged to wear 3/4 or long pants, bring own socks and water. 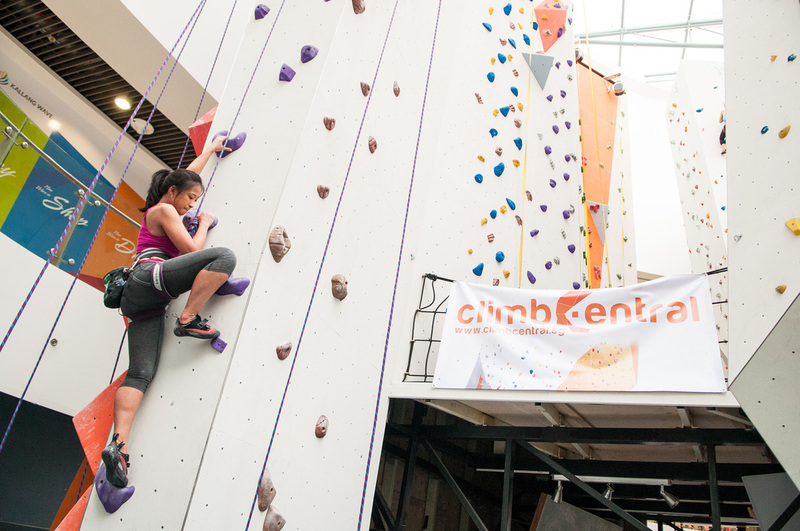 Climb Central is the tallest indoor air-conditioned sport climbing venue in Singapore. Climb Central has approximately 1,000 square meters of climbing wall space and is conveniently located within the Singapore Sports Hub! Advanced climbing safety systems make it easy for beginners to pick up climbing, while veteran climbers will enjoy the 16 meter lead wall and super inclines on the boulder area! All participants are required to sign the Release of Liability form of both ASPIRE55 and Climb Central on the day of the event.